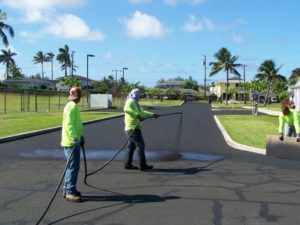 Most people who have asphalt driveways have more than likely, at one point in time, heard the importance of sealcoating. And for those of you who haven’t? Listen up. Below are five frequent questions we get from homeowners about sealcoating. WHY SHOULD I GET SEALCOATING? Sealcoating does an excellent job of making your driveway look pristine, while protecting it from the elements, any heavy impact and whatever fluid residue your vehicle may leave behind. 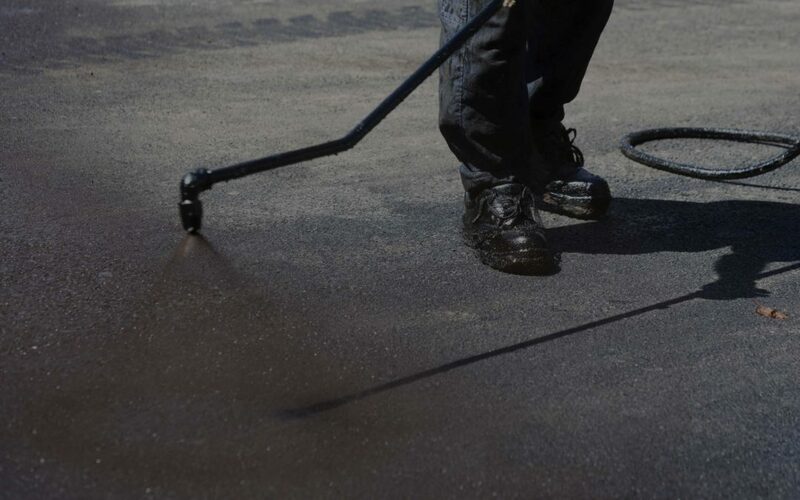 A proper sealcoating will double your asphalt’s lifespan. 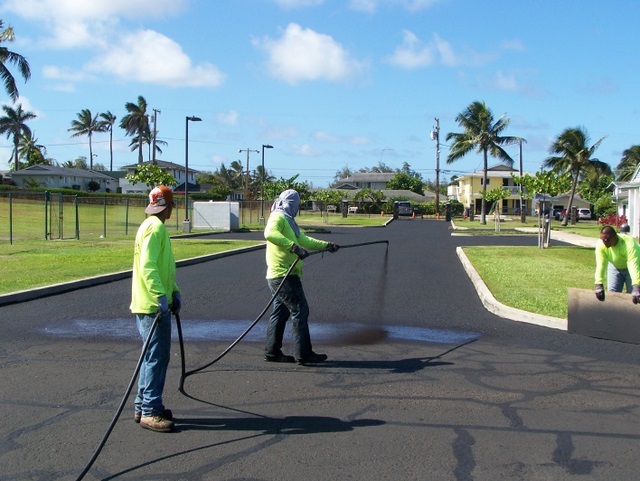 Sealcoating applied to newly paved asphalt will last the longest, up to three years. Older driveways should be redone yearly. HOW LONG DOES SEALCOATING TAKE TO DRY? The drying time of sealcoating depends on the humidity levels, and here in Hawaii that’s an ever-changing number. Generally, five hours is all you need. It’s optimal to refrain from parking your car on the driveway for a full day. A variety of environmental factors including water, salt, and sand cause wear and tear to sealcoating. No, sealcoating large or small cracks will not fill or smooth them. It will help prevent cracks, but it will not remedy them. There really is no question as to whether sealcoating is a smart investment when it comes to taking care of your driveway. It’s a must. Lucky for you, we’re here to answer anymore questions and get your sealcoating process started today! We’re prepared to do the hard work so you don’t have to. Give us a call at (808) 591-6086 to schedule an appointment with us.